I am a copy writer/editor by profession who is deeply into Desktop Linux. Is not it machoistic? I love to make/break praise/rant Linux. To pursue this I try each release of popular distributions. But everytime I come back to PCLinuxOS. This time I am trying PCLinuxOS 2009.1 Minime - my personal favorite (read on, I will tell you why) from PCLinuxOS bandwagon. Hi there you techies who run after quad cores! I still believe a Celeron 530 1.73 chip is fast enough for a home desktop. And it's 64-Bit too. To me it's the meanest machine. It has tested some 200 distros and still running fine! Specs: 1 GB RAM, 1.73 GHz Celeron M 530 CPU, Intel GMA 965 Graphics, Intel HDA 8 Audio, Broadcom 4311 Rev.2 WLAN Card, 80 GB HDD. My personal favorite! Why? Because it's the best, the smallest and the most perfect distribution. What's more, it gives you complete freedom to add whatever you like and make it fit to you personality. That's why the name - Mini-Me. 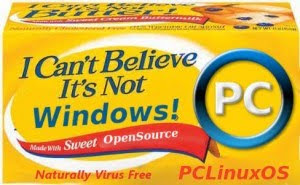 It gives a bloat-free linux experience. I have tried them all - Fedoras and Ubuntus. Sometimes a release comes great but most of the time they are buggy. Even a better Fedora runs out of order after some odd updates. But here is PCLinuxOS that provides great releases every time and the nicest updates everyday. Now onto the review. 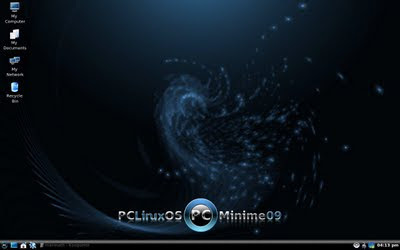 When I popped up PCLinuxOS 2009.1 MiniME the boot chooser seemed looked little different from its 2008 edition. Yes there is a copy2ram option. I tried it. But sadly it did not work. Except that it booted up quite well. It took some 2 minutes to boot the liveCD. Upon booting Minime 2009.1 gave one more surprise - the update notifier. Like it's predecessor it has no extra frill (or bloat). Just configure your internet and pull in whatever you like (except openoffice) from synaptic. Kde menu >> Office section has a link GetOpenOffice to grab openoffice 3.1. Without doing adding/removing packages I thought it better to install and went ahead. Installation took some 10 minutes only. Here is the list of packages I pulled in from repo to fully load my MiniMe. The above are a regular mix of applications that I install on Minime. This time Artha came as a surprise. It is a really great wordnet frontend that's Linux's answer to WordWeb. If you are a regular home desktop user you too can pull in just the above packages onto your Minime and get a real mean slim fast kde home desktop. Even after installing all these packages my Minime consumes only 2 GB of hard drive space, giving much space to do whatever I like. The freshly installed desktop took only 250 MB RAM! Another pleasant surprise of this minime release is its power management. Right after I installed kpowersave package I was surprised to see the system running cool like a cucumber by utilizing p4_clockmod settings under ondemand cpu governance. It's first time ever happened on this notebook. 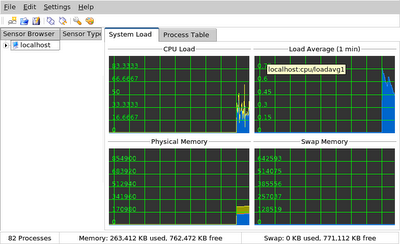 Previously I had to manually set up cpu-scaling to run this machine optimally cool. PCLinuxOS is not a cosmetic distribution. No wonder, it sticks to those crystal icons which you can easily replace with better-looking ones from kde-looks.org. Besides that, the default wallpaper, bootsplash and kde-splash are simply marvelous. They look way better, polished and professional than the previous releases. 1. Inclusion of Update Notifier option. 2. Availability of OpenOffice 3.1, Firefox 3.5.2, Artha and many other useful packages in the repo. 3. Bloat-free attitude of Minime like its predecessors. 4. Adherence to KDE 3.5.10 + 2.6.26 kernel. 5. Stunning default wallpaper, bootsplash + ksplash. Till Artha showed up in OSS Linux was lacking a perfect dictionary/thesaurus for long. Yes, it has WordNet as the lexicon and some primitive front ends such as kthesaurus and the native wordnet gui. Clearly it was not as usable as its Windows counterpart - WordWeb. Artha is a handy dictionary/thesaurus program for Linux that focuses on high usability. It makes the best utilization of WordNet database with highly usable Hotkeys, Regular Expressions, Notifications, Relative Senses, Suggestions and Much More! So, if your looking for a wordweb knockoff in desktop linux, look no further. Go, get Artha. Why Should You Love PCLinuxOS 2009.2? I could have better set the title "What's so Great about PCLinuxOS 2009.2?" Be whatever the case, the good thing is that PCLinuxOS is here. Though little late, it's pouring goodies steadily. After storming the Desktop world with PCLinuxOS Gnome 2009.2, PCLinuxOS KDE 2009.2, PCLinuxOS MiniME 2009.1, PCLinuxOS Zen Mini 2009.1, PCLinuxOS XFCE and PCLinuxOS LXDE 2009.4. And at last, the repo is ready with kde4. 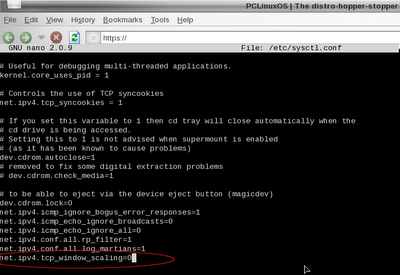 That means an Official PCLinuxOS with KDE 4.3 is not far away. What I liked the most in PCLinuxOS 2009.2? 1.Cosmetics: This point release sports a better look-n-feel than 2009.1. 2.Updates: It endows tons of updates over 2009.1, making it a must for anyone doing a fresh install. 3.Stability: I don't know much about linux internals but this release seems well tested and polished. 4.CPU management: This release does a great job managing your CPU and power. After installation of 2009.2 when I set out to configure cpu-scaling, I was really surprised to see that pclos had already set proper cpu-scaling for my celeron chip. Needless to say, this release also bears the testimony of tex standards - well chosen packages and better overall integration of all the components. So, try it. You will fall in love! Couple of months back I had installed PCLinuxOS 2009.1 in ONSIS, Noida. For almost 2 months after installation ONSISians had a joyride with PCLinuxOS. But slowly PCLinuxOS started to hang after some hours of working, and afterwards hangs became frequent. And finally we gave up on it and moved to Centos 5.3. We had to compromise on usability for the sake of stability. Though Centos 5.3 worked like a charm it gave rise to some weird problems, the most annoying of which was the inability to open any HTTPS websites. On the same network Windows XP and PCLinuxOS had no problem opening https websites but Centos did not move. We scanned the firewall settings, browser setting; visited several forums (fedora, rhel, mandriva, pclinuxos, etc.) but to no avail. We checked for 443 port, there was no blockage there. We checked for konqueror and firefox setting, there was nothing wrong either. Suddenly something brilliant stuck to your System Admin Tarun Pandey's mind. 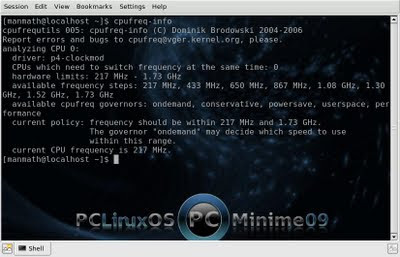 He tried to dig deep into the pclinuxos network settings (which opens https sites flawlessly) and came up with a big point – PCLinuxOS advanced network setting has disabled tcp_window_scaling. He did the same on Centos 5.3 by putting an extra line net.ipv4.tcp_window_scaling=0 at end of /etc/sysctl.conf file, and lo, after rebooting Centos opened up all the https websites. Though the problem was solved. I am interested to know how disabling tcp_window_scaling solved this weird https problem. So far, I have no cue.